I haven’t laid eyes on you since Aug. 1 when I left home at 3 a.m. for a “cruise-of-a-lifetime” to the Mediterranean and handed you over to the United airlines rep at the Charleston airport. The #1 lifetime favorite pair of black pants that makes me feel thin and that people compliment me on. The fun and funky collection of earrings that my friend J made for me; they match all my clothes! But I had to buy a new little suitcase to bring home all the souvenirs! I’m home now, lost luggage, and (sadly) forced to wear my second-string clothes all the time. They just don’t give me the boost of self-confidence that the clothes you hold do, wherever you are. And last — but not least — I paid $25 to be reunited with you in Venice so we could “do Europe” together. I showed up. Where were you???? 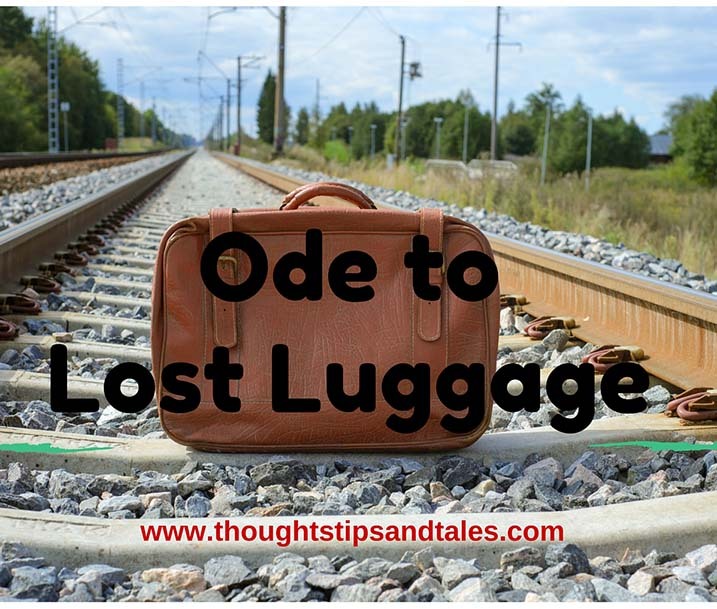 This entry was posted in cruising, lost luggage, mediterranean cruise, travel, vacation and tagged lost luggage, luggage, Mediterranean cruise, ode to lost luggage, travel, vacation. Bookmark the permalink.